Learning entrepreneurial skills at a young age can be incredibly beneficial, both for kids that end up running businesses as adults and for those who go on to pursue more traditional career paths. And one company is working to bring those skills to classrooms around the country. Virtual Enterprises International sets up virtual businesses in classrooms around the country and even in a handful of countries around the world. In these classrooms, students actually run hypothetical businesses using real world concepts. Each of them is assigned a role within the company and they have to learn how to work together, source products, market their offerings and complete all of the other essential tasks that go into running a business. The classrooms even connect with one another to form a sort of virtual economy. The program’s goal isn’t necessarily to make more young people into entrepreneurs. The businesses are set up so students can try out different jobs and learn about potential career opportunities as well. But of course, by giving students a taste of what it’s like to run a business, some do go onto run their own — even in high school in some cases. Jacob Norwood is one example of this. A student entrepreneur from V.R. Eaton High School near Ft. Worth, TX, Norwood serves as the CEO of Connocrate, a Virtual Enterprises business. But he and his classmates have also started an actual business with a similar focus, Canivet, a specialty coffee brand also donating a portion of its earnings to first responders. Norwood acknowledges he’s always had some entrepreneurial qualities, but he didn’t learn how to apply them in a business setting or even really consider it as a path until he started taking his school’s business classes leading up to the VE business course. Norwood and some of his classmates intend to keep the business going after they graduate and go off to college next year. However, he echoed Chapman’s point about the exercise in entrepreneurship being valuable even for the students who choose to pursue more traditional career paths. 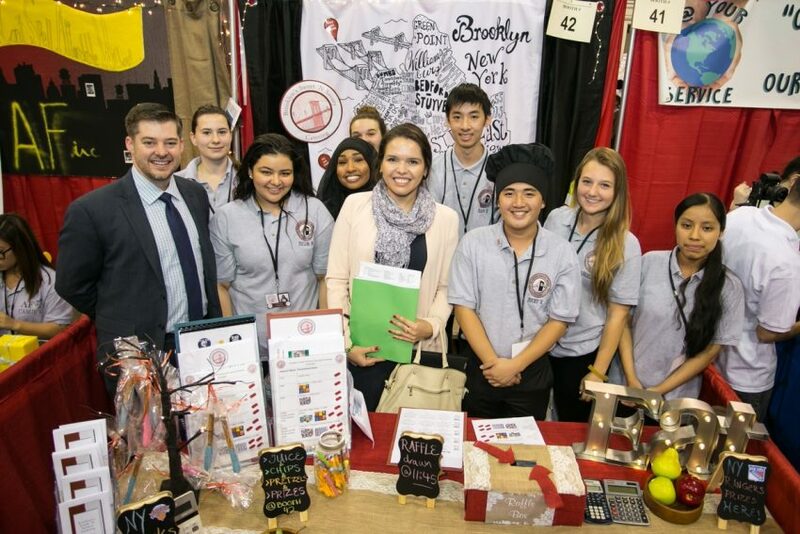 Virtual Enterprises is hosting a Youth Business Summit this April 18-19 in New York City where students act as participants in a trade show, participate in business plan competitions, and get the opportunity to interact with other student entrepreneurs around the country.